Replacing your roof? Before choosing a material based on aesthetics alone, read up on the differences between six popular types of shingles to make sure you've selected wisely. Looking at replacing your roof sometime soon? One of the first decisions you’ll need to reach is choice in design. In residential housing, you can choose quickly between shingles and paneled roofing (which is often limited to corrugated metal) based on the current style of your home and your vision for it. But the next question of material calls for more consideration. Shingles are merely small segments of building material installed above the underlayment, sheathing, and trusses of a roof to beautify and protect your property from outdoor elements. You’ll find they come in a wide variety of materials, each with unique benefits and drawbacks. We’ll cover six types of shingles here and lay out the key differences to help you find the ideal for your roof. Do keep in mind that, in the end, a total roof shingle replacement or installation over old shingles (if your roof can withstand the weight) is best enlisted to a pro unless you’re comfortable walking on the roof. Individual shingle replacement as part of regular maintenance, however, can be a do-it-yourself task for certain types of shingles, in case that sways your final pick. 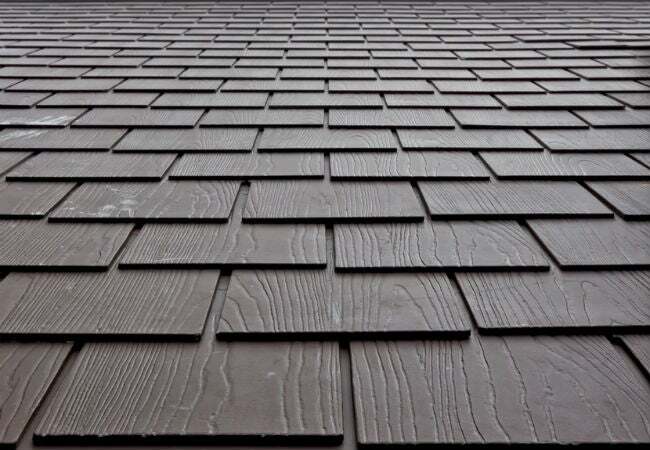 Asphalt shingles—made of asphalt reinforced by fiberglass or organic materials like wood or cellulose—are sold in multiple sizes and colors in a thicker, multi-layered “dimensional” variety (pictured above) and a flatter, thinner, single-layered “three-tab” variety. These types of shingles are the least expensive and most widely available, costing around $90 per square (a roofing measurement equivalent to 100 square feet of material)—not including any additional insulation, underlayment, or labor—and lasting 15 to 30+ years. Of the two styles, dimensional shingles cost half as much and last twice as long as three-tab. Those aren’t the only reasons they’re popular, though: Asphalt shingles are also waterproof, fireproof (fiberglass more so than organic), flexible enough to withstand the weight of snow, and resilient in can small to moderate hail storms in the case of those with a Class 3 or higher impact-resistance rating (Class 4 being the highest). You might even qualify for a tax credit if you opt for ENERGY STAR-qualified asphalt shingles! All of that said, they can buckle and come loose when exposed to high winds and sudden temperature fluctuations, making them most suitable for homes in the Northwest and Northeast. Fortunately, when small repairs are necessary, the light weight of these shingles makes them easier for homeowners to lift up and replace individually, or simply re-adhere blown-off shingles by adding roof cement above and below them. Wood shingles are machine-cut from cedar, spruce, or pine to offer a trim yet natural-looking and environmentally-friendly option that lasts 20 to 25 years. 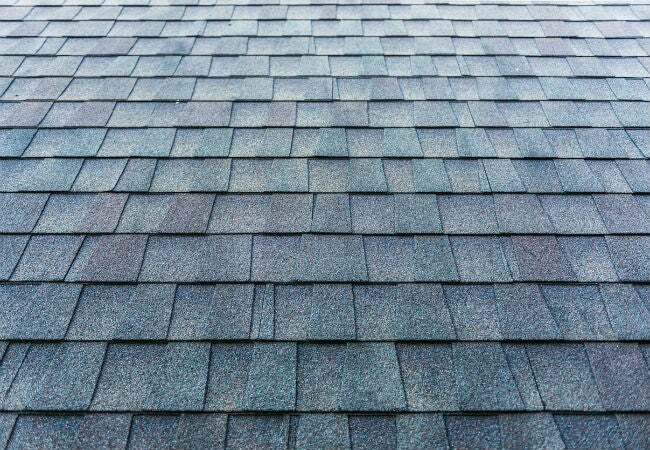 Plus, this type of shingle comes at an economical price point: It costs more than asphalt and less than clay/concrete and composite tiles, at $350 to $450 per square according to HomeAdvisor.com. Following installation, it’s easy to power-wash mildew- or mold-ridden shingles, but damaged individual shingles often need to be replaced rather than repaired, and the plywood decking required below the shingles makes them more difficult to replace on your own than asphalt shingles. 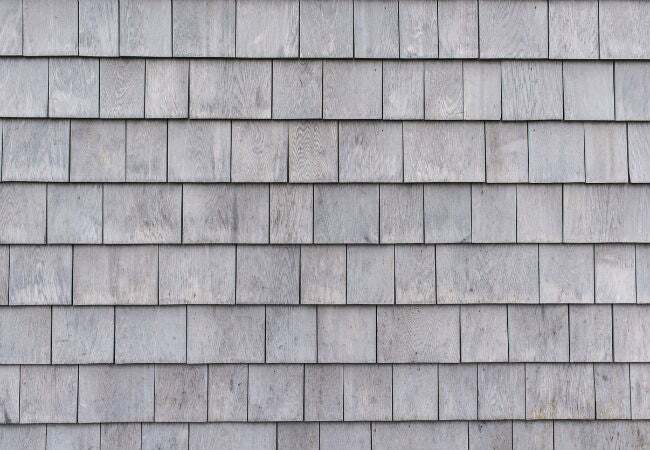 But unless you choose wood shingles with a Class A fire rating, these shingles aren’t fit for extremely hot and dry or wet climates, as they’re vulnerable to fire, rot, hail, and termites—any of which can cause them to chip, crack, or split. Installing them in the Great Plains is your best bet so long as the fire code in your region doesn’t forbid their installation. Metal shingles—consisting of aluminum, steel, copper, or an alloy stamped into a variety of shapes—are among the most energy-efficient of all shingle types due to their ability to reflect sunlight rather than absorb it and thereby lower cooling costs. Plus, you can enjoy these savings for their long life of 50 to 75 years! Their resistance to rain, rot, wind, fire, and hail make them an apt choice for homes in the rain-battered Northwest or Southeast. It’s worth noting, though, that some of this precipitation can have other consequences for metal roofs: Hail can dent steel shingles, while rain sounds louder on a metal roof than the average roof (unless you’ve installed additional layers solid sheathing or insulation beneath these shingles for an additional cost). 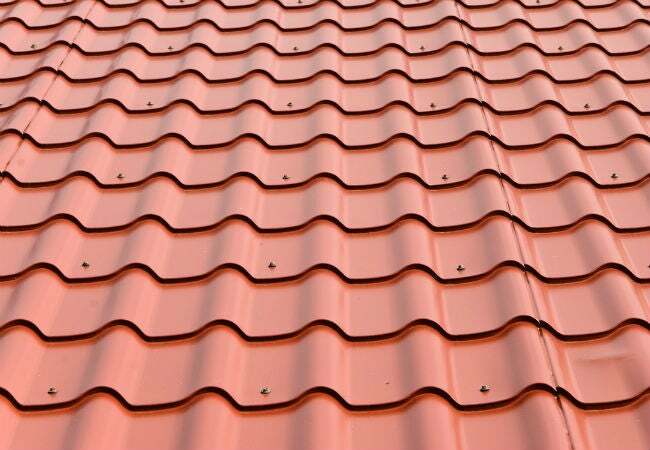 Overall, metal shingles cost more than either asphalt or wood shingles, on the order of $265 to $375 per square. However, you can potentially save money using metal shingles to re-roof by installing them directly over your old, in-good-condition shingles and avoiding the costs associated with the tearing down a roof to start fresh. In addition, both the repair and replacement of individual shingles are DIY-friendly thanks to their light weight (half that of asphalt shingles) and ability to be secured to the roof with just screws. 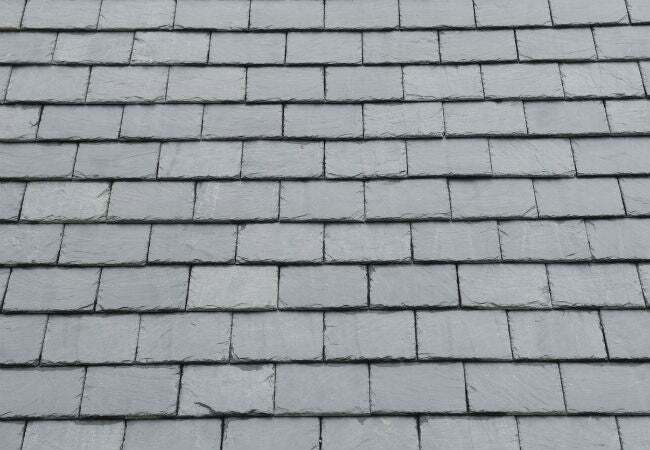 Slate shingles’ sleek yet rugged composition contributes to their elegant naturalism and durability. While the heat-, hail-, and moisture-resistant, noncombustible shingles with a low propensity for leaks last anywhere from 50 to 100 years in all climates, their capacity to withstand large volumes of snow makes them the best choice for homes in the Midwest. This type of roof can run $1,100 to $2,000 per square—not including additional expenses incurred due to their heavy weight, the need for additional framing during installation, and the relative scarcity of companies that install them. Before you set your heart on this type of shingle, know that certain roof structures simply can’t withstand their weight. Consult with a structural engineer before installation. Afterward, leave repairing or replacing individual shingles to the pros to avoid injuring yourself under their weight. Clay or concrete shingles—molded out into flat, barrel-shaped (pictured above), or scalloped tiles of different colors—are two popular choices in Spanish-style homes in the Southwest. Clay is noncombustible and non-fading, while concrete reflects sunlight and effectively insulates interiors from heat and cold. Although concrete tiles are heftier than clay, roofs made with either type of shingle warrant consulting a structural engineer to make sure your home can support the installation. Typically, a roof will still need extra framing (underlying supports) during installation to support their weight. 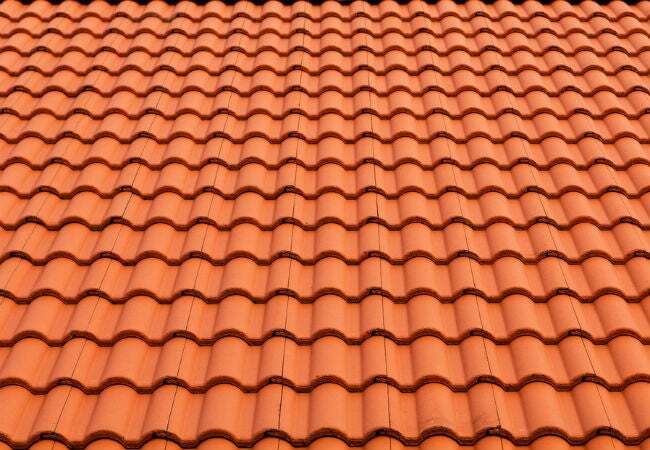 When all is said and done, though, you can expect a cost of anywhere from $300 to $1,000 per square (clay tiles are roughly 30 to 50 percent more expensive than concrete) and an investment that lasts anywhere from 40 to 50 years or better. You can repair these tiles on your own with roofing cement, but individually replacing them on your own is difficult due to the weight and limited impact resistance of individual tiles. 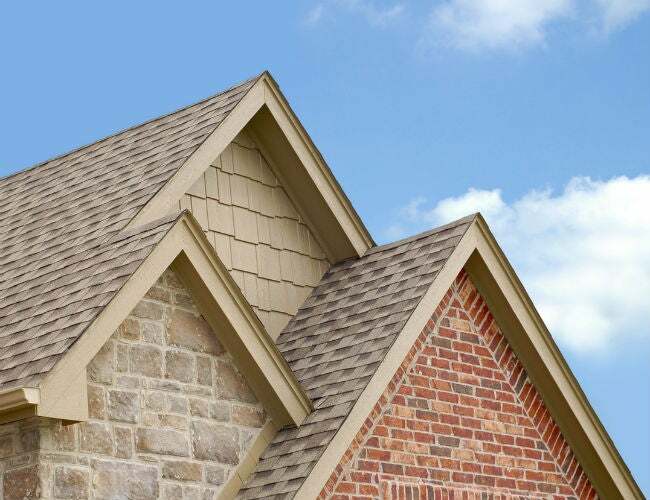 Composite shingles—made of polymer, rubber, or plastic and sold in a variety of colors and styles starting at $300 per square—convincingly mimic the look and feel of shingles made of natural materials such as wood or slate. These shingles retain their color over their lifespan of 50-plus years, are heat- and impact-resistant to varying degrees (those with a Class-A fire rating and Class-4 impact-resistance rating offer the best resistance to fire and hail). The additives in some composite shingles lend them additional defenses such as moss and UV resistance. The decision of whether to use composite shingles ultimately boils down to your budget and expectations of durability. For example, composite shingles that look like slate offer a lower cost, lighter weight, but less long-lasting alternative to slate shingles. Similarly, composite shingles that look like wood are twice the cost of real wood shingles, yet doubly long-lasting and more resistant to fire.